proud to support the following community events! 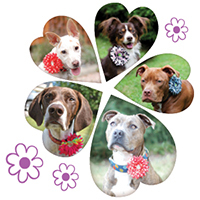 When you purchase a collar flower we will donate $4 to the Sit Pretty Pit Rescue Society. Show your support for rescue pets and pick your flower today. 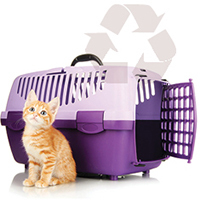 Have a dog or cat crate you don’t need? Donate it and help animal welfare groups in Vernon and area! Or buy one and support charity! 100% of the proceeds from your purchase of any donated crate will help the Pet Soup Kitchen and Vernon & District Animal Care Society’s Spay & Neuter Program! Vernon’s Pet Soup Kitchen is held on the second Thursday of each month at the People Place (3303 30th Street, Vernon | View Map) from 3:00 - 4:00pm. If you have pet food you no longer need or use, please consider donating it to those less fortunate. 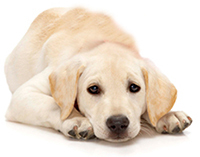 Donations gratefully accepted at Healthy Spot Pet Nutrition & Supply. Don't like doing your dog's nails? Join us for our next Nail Clip Fundraiser and get your dog's nails professionally done for a donation. Three cheers for service/assistance dogs!